The High Voltage Lineman Technology program prepares individuals to apply technical knowledge and skills needed to install, repair, service, and maintain electrical power lines and supporting equipment. The program includes instruction in AC/DC electrical theory, safety, transformers, tools, material, testing equipment, pole framing, and bucket and digger derrick trucks. The program also includes instruction in the construction, maintenance, and troubleshooting of underground electrical systems. Students also receive instruction in pole climbing, pole testing, equipment maintenance, and pole top rescue. 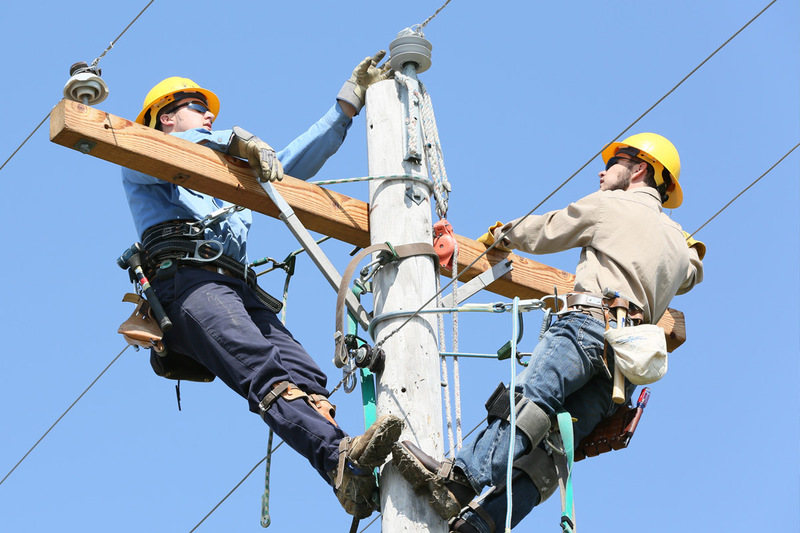 Graduates may find employment in the field of electrical power line work for companies like Electric Cooperatives of Arkansas, Entergy Arkansas, Southern Electric Contractors in Mississippi, Bird Electric Co. in Washington, and Patriot Solutions in South Carolina. Have you found your starting point? Apply to the High Voltage Lineman Technology program today.